Volleyball, soccer, cross country and football teams will compete in memory of her this week. Photo courtesy of Utah athletics. 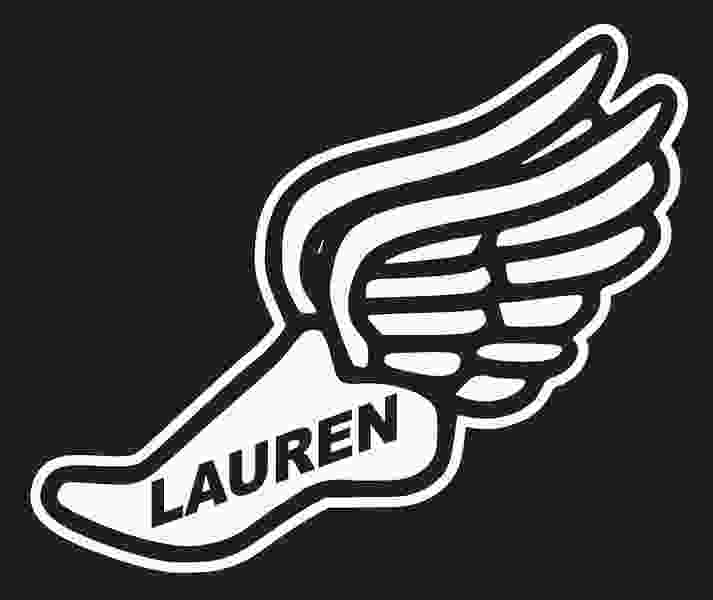 Lauren McCluskey winged logo. The Utah football team will wear the decal on the back of their helmets for Friday's game at UCLA. | October 24, 2018. The usual, high-energy music was played between points and the Utah women's volleyball team staged a couple of nice comebacks Wednesday night against No. 19 Washington State, but the Huntsman Center vibe was not the same. The Utes couldn't sustain enough high-level play in the school's first athletic contest of an emotional week on campus. The team took the court at the Huntsman Center shortly after the vigil honoring Lauren McCluskey ended. Utah lost in three sets (25-23, 25-18, 25-21). McCluskey, a senior track and field athlete who was killed Monday night, is being remembered with one logo featuring her name on a winged track shoe and another with a heart framing her initials. During the volleyball match, a memorial banner with a photo of McCluskey was placed in a corner of the arena, hanging below the first row of seats. The “LM” heart logo appeared on the digital advertising panel of the scorers' table all night. Before taking the court, players from both teams stood together in a long line in front of their benches, linking arms during a moment of silence. McCluskey's parents, Jill and Matthew, are WSU faculty members. Photo courtesy of Utah athletics. 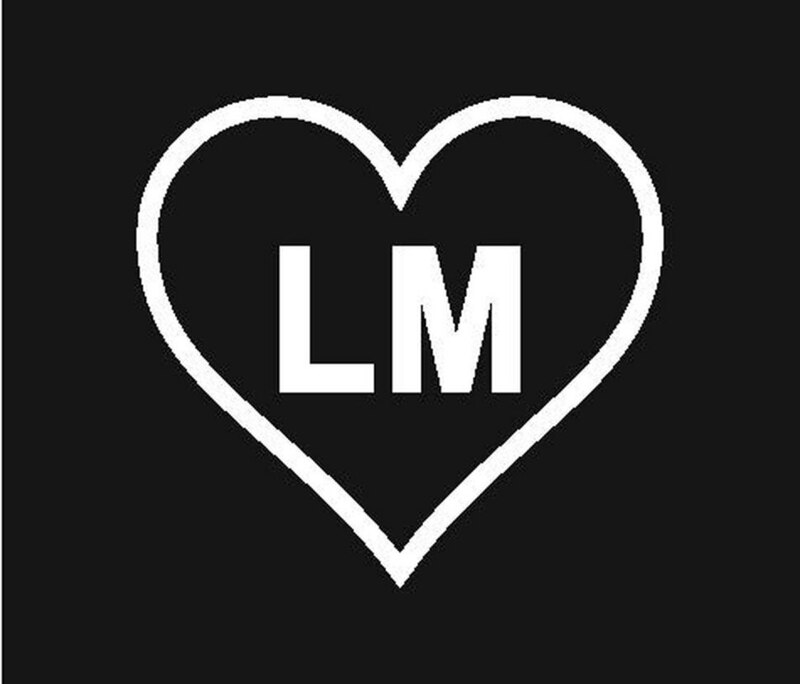 Lauren McCluskey heart logo. October 24, 2018. The volleyball players received counseling advice and wrote letters of support to McCluskey's parents and her track teammates before practicing Tuesday. They were eager to play Wednesday and produced some good moments in the first set, but sophomore outside hitter Dani Drews sensed a different feeling than usual among her teammates. The tributes to McCluskey will continue this week. Utah’s soccer players will wear wristbands with the “LM” heart logo for Thursday night’s soccer game vs. UCLA and Utah’s football players will display the winged decals on their helmets for Friday’s game at UCLA. Several of McCluskey's track and field teammates are cross country runners. The Utes will wear black uniforms with the “LM” heart patch during the Pac-12 cross country championships Friday at Stanford. Other schools joined in the tributes Wednesday. At the Marriott Center in Provo, where BYU played a men's exhibition basketball game, students displayed a homemade banner with McCluskey's name in red letters. Members of UCLA’s soccer team, having arrived in town Wednesday, attended the campus vigil for McCluskey. Many students at BYU, Utah State, Utah Valley and Weber State wore red clothing on their campuses Wednesday as a show of support. Utah has established a Lauren McCluskey memorial fund to honor her. McCluskey’s family asked that the fund would help support future scholarships for student-athletes in track and field. Link to the Lauren McCluskey Memorial Fund: https://giving.utah.edu/lauren-mccluskey/.